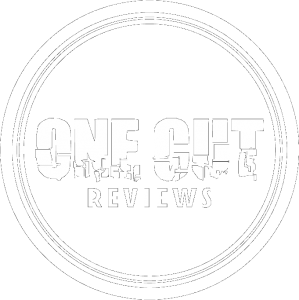 Once a month at One Cut Reviews, we take a handful of products that have caught our attention recently and will shine a light on them and their merits. These products are fighting for the attention of the average consumer and can be weird and wonderful, but most importantly, are great value for money. Here are our finds for April. Created by Hot Rod legend Don Varner, the Waterblade sounds like a crazy idea to you and me but it is quite ingenious, it essentially is the ultimate all-purpose squeegee that originally started for use on vehicles. The unique T-bar construction is perfectly safe for your paint work and removes 90% of water without the need for a chamois. The medical and food grade silicone blade is housed with in a super strong impact ABS or Nylon handle that is not only antimicrobial but can also withstand temperatures from -80 to +400 degrees Fahrenheit. Due to its water wicking properties, it comes in different sizes and is perfectly suitable for cleaning up big spills and accidents safely and easily in the kitchen, can be used in industrial applications and even on your pets! So, if cleaning up liquid messes is the name of the game, then you need the Onepass Waterblade! Marketed as the Greatest Sock Ever Made, the team at Neverquit have truly created something special with their socks. Made from unique Hexashock technology, these socks not only minimize impact on the soles of your feet with their “springy” goodness but are also super comfortable! The socks also feature anti-bacterial properties to prevent infections and bad smells (to appease your partner) but also have excellent arch support and a Y-shaped heel to prevent blisters and at just $19.99, you would be crazy not to look after your feet a little more with this warm hug of a sock! Hate having to share your coveted Wi-Fi password every time friends come over? Then you need the Wi-Fi Porter. Ten One Design is the team behind other great products like the Blockhead Apple charger and Inklet Touchpad for Macbook and have established themselves as creative out of the box thinkers and their Porter is no exception. This single piece of wood is setup and impregnated with the end consumers Wi-Fi password and when guests arrive at your home or office, they simply place their phone on top and will be instantly prompted to connect to your network. Compatible with most smartphones, there simply is no other way to get everyone online than this and it is unassumingly brilliant! The EndlessID Band is the easiest, most effective way to keep yourself and your loved ones protected. This is basically an upgraded version of a Medical Alert Bracelet that uses NFC (Near Field Communication) to allow Emergency services to just tap and discover your medical history and information. Better yet, your emergency contact person will receive an email, text or call with a notification that your band or ID card was activated and will receive a geo-location of where the band was accessed from in the event of an emergency. Made from high-quality water-resistant silicone, the band is comfortable enough to be worn daily and never needs to be charged as there is no battery! You also have the option to update your medical history stored on the band at any time, making this a very versatile option for those that are concerned about their health.